An opportunity to get up close and personal with archaeology at Fulham Palace, and learn more about the rich and varied history of this ancient site. Each session explores a different theme. 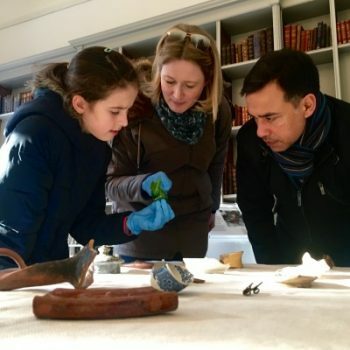 This month, join us for this special edition of our popular Hands-on Archaeology series as we delve into this spectacular site’s past with an Interactive Archaeology Tour in the grounds and the chance to examine Fulham Palace finds from a broad range of different historical periods. Details: Free. Suitable for adults and children. Children must be accompanied by an adult. This event takes place in the Jessie Mylne Education Centre.